Castleford will once again enter the season as a team to watch, the exciting brand of rugby and consistent performances under Daryl Powell now seeing them as an established contender in the top half. 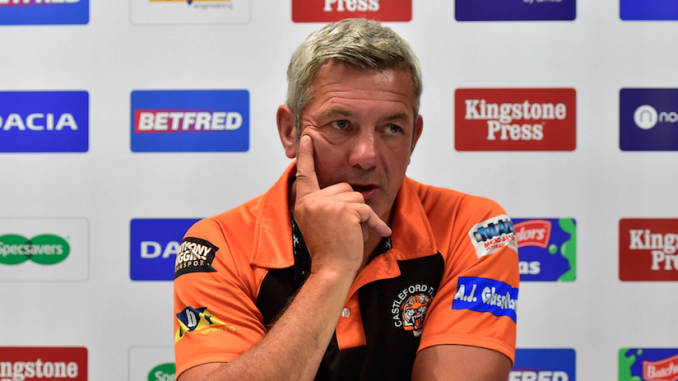 Losing Luke Gale to a season-ending injury before it has even began is a blow, and increases the pressure on young Jacob Trueman, though coach Powell is more than confident in Trueman’s ability to lead Castleford forward. While teams around them have added marquee signings in various areas, Castleford have done next to no recruitment, only bringing in Jordan Rankin to replace Gale once his injury was confirmed. They will once again be happy to go under the radar and perhaps not talked about as much as the likes of St Helens and Warrington, hoping that they can quietly pick up points and be among the reckoning when it comes to the play-offs at the end of the year. After their Grand Final defeat in 2017 and semi-final disappointment last season, can Powell lead his men to take the next step? He said: “We finished third last year so that’s a fair effort and we fell short against Wigan and they were great I thought. “Overall it was a positive year, especially after the way we started it by getting our backside’s spanked by St Helens, everyone wrote us off and I think we’ve been written off a bit this year. “We want to be better this year. “It’s not great to lose one of your better players before you even start but we’ve had a fair bit of last year where we played without him.